Allergies can be a big problem, whether it's for your pet or for you. While it's well known that people can be allergic to a number of things including pollen and pet dander, not everyone is aware that pets can have allergies as well that can cause them a lot of discomfort. In this list, you'll find a variety of products that can help with the allergies your pet experiences, or allergies that you experience because of them. Many of these products are natural, allowing you to find relief whether you prefer standard medications or those that avoid abnormal chemicals. Is there anything else I can do to help avoid pet allergies? How can I keep my pet from experiencing allergies? Will I have to get rid of my cat if I'm allergic to them? How will I know if my cat has allergies? What else can I do to treat my cat with allergies? This low-cost option is great for boosting your pet's health. It offers a lot of product in a small container so that you have plenty to last for months. It's designed to help keep your pet feeling great, similarly to the way you might take a multivitamin or other supplements to boost your overall health. 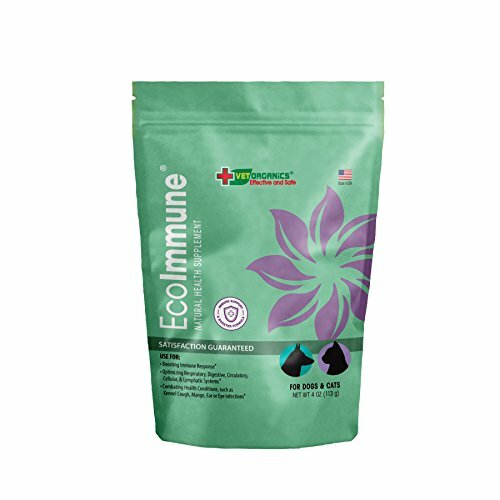 EcoImmune is made from completely natural substances that can help your pet to fight off allergies, infections and other minor problems. It works for both dogs and cats and offers two sizing options so that you can get what will be most effective for the size of pet you have. You can expect this booster to include things like mushroom extracts, antioxidants and more that work to strengthen your pet's immune system to keep them healthy and happy. If your cat is prone to allergies or colds, then this is a great addition to their diet. Like humans, some pets have an immune system that may not be functioning at full capacity. For those pets, this can be a great way to give it a little more strength, helping them to fight off common illnesses. You may even find that some pets enjoy consuming this along with their ​healthy cat food. You may find that this product is especially helpful for older pets that are beginning to lose their youthfulness. These animals tend to be more prone to mild illnesses and benefit from the help that this can provide. While most pets have had great benefits from this product, it's not going to work the same way on all animals. Some customers have found that their pets aren't interested in consuming the EcoImmune due to the scent or flavor. Other pets have experienced negative health effects during elimination or just in general. If you decide to try out this product, it might help to start with less and build up to the full serving. Also, make sure to keep an eye on your pet for any negative symptoms they may start to show. For those who want a convenient way to help tone down the allergens your cat produces, this can be an excellent option. It's lower cost and includes a mitt for easy cleaning so you won't have to worry about trying to give your cat a bath. There's no question that most cats hate baths, and trying to give them one can leave you covered in claw marks. Instead, this substance helps to clean allergens away from your cat without causing them the trauma that can come with a bath. All you have to do is rub your cat down with it about once a week and it will clean out their glands to help them produce less dander. That way, the people you love and the animal you love won't have to be at odds due to allergies. It's an option that will be a lot more convenient, cost you a lot less and is recommended by many veterinarians. For cats who hate baths, this is a great option. The style of the mitt makes it more akin to petting your cat rather than trying to get them into a bath, which is going to be much more appealing to your pet. It's also a great way to keep them clean in general, on top of clearing away dander that can upset allergies. 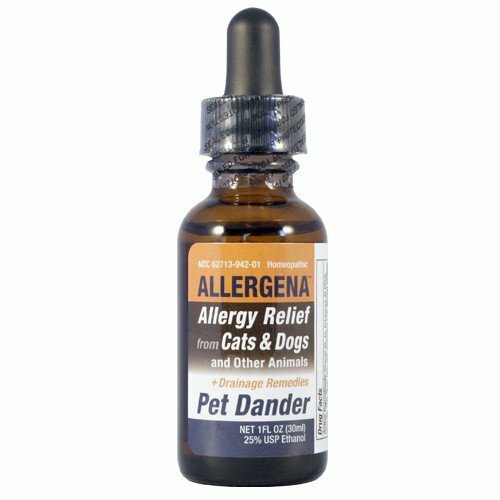 It also says a lot that this product is recommended by veterinarians as well as allergists. If you still aren't sure whether or not it would be good to try on your cat, feel free to ask your vet prior to using it just to be safe. With products like this it's always worthwhile to check with a professional before using it. This is especially true because cats are frequent self-groomers which means they will be likely to consume some of the product. It's wise to make sure it won't make your pet sick. There have been a few instances where it has made a cat ill enough to require a vet trip. Not all cats are also going to be as interested in having this applied to them. If it's uncomfortable on their skin they will be unlikely to enjoy it. There is always the possibility that there will be no difference at all. This low-cost antihistamine can help your pet to get some relief from allergies they might suffer. Whether it's seasonal allergies or a general problem, all you have to do is give them a single tablet and they'll be feeling better in no time. 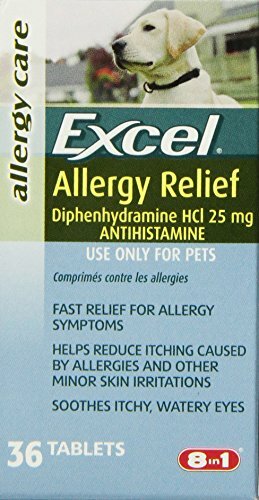 This allergy medicine is designed specifically for pets so that they don't have to deal with the sneezing, watery eyes and other problems that can come from seasonal allergies or insect bites. The container holds 36 tablets that may last your pet a long time depending on how often they need them. Generally speaking, it works the same as Benadryl except that it's designed to be okay for pets. It can help with physical discomfort like those from skin allergies and hot spots as well as those that might cause them to sniffle or have a runny nose. 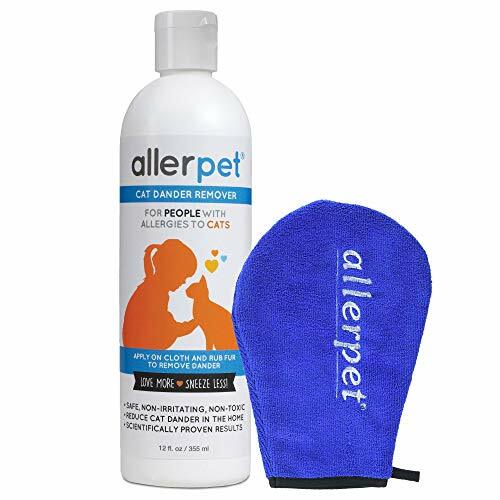 For pets that suffer with allergy-related discomfort, this product is a great way to help relieve them so that they can go back to being happy and playful. It can also help with pains and itching related to insect bites, reactions to unpleasant plants and other minor discomforts that your pet can experience. While it may cost a little more than standard Benadryl, it is designed specifically for pets so you can feel a little more comfortable in knowing it is safe for them. It's also highly effective and keeps your pet feeling well when they might otherwise be suffering. Though it is branded for pets, this is essentially Benadryl. You can find options for giving your pets regular Benadryl that is likely to cost less. Essentially, the added cost for this product is simply due to any adjustments that may have been made to make it better suited to pets. It is important to keep in mind that like Benadryl, it can cause your pet to become drowsy. In some other cases, customers don't notice any difference at all after using this product. If you're highly unsure about using it, make sure to ask your vet. This supplement is designed to offer natural allergy relief from animals so that they don't have to spend time with their pets sniffling and sneezing. It's a dietary supplement in liquid form that may also help with increasing your immunity to pet allergies. In one tiny bottle, you'll get a number of different natural products that can help to relieve allergy symptoms in a very natural way. It's a great method for those who want to try something that isn't going to be filled with man-made chemicals or for those who aren't getting what they need from typical allergy medications. For some customers, the relief from allergies comes quite quickly with this product. Many also find that the relief is powerful enough to be on par with allergy shots that you can receive from your doctor on a regular basis. Over time, you may find that your allergies decrease in severity overall, leaving you much more comfortable around animals. Do keep in mind that the reaction will be different for everyone. While there are many who put their trust into natural products like these, there are also a number of people who find that they just aren't as helpful as more typical options. They may find them to be less effective or simply not work at all. For others who have tried it, there can be some negative reactions such as lethargy and headaches. If you notice experiences like this then it might be worthwhile to discuss it with your doctor to see if there is a better option. This is a budget-friendly way to help your pet with sniffling and sneezing. 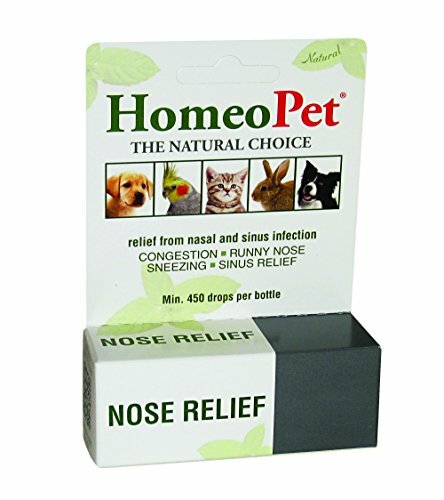 It works for a variety of pets and can help them to recover from allergies, colds and other problems that might effect their nasal cavity. This is a fast-acting liquid that is created in the United States. It works to help a number of pets including dogs, cats, ferrets, hamsters and even birds. There are no known side effects that remain after pets have used the substance, which makes it great to help out your pets. It's 100% natural, and you can get many uses out of a single bottle depending on how often your pet needs it. One of the greatest benefits is that this works for so many different kinds of animals. So if you have a lot of pets, you can get a single bottle to use for any of them as they need it. It's designed to not cause drowsiness, so that your pets can stay energetic and upbeat after using it. Because it's a liquid, it's also easy to mix into your pet's food or water. Results from this product are going to vary from animal to animal. Some pets may be unwilling to consume it at all, while others will have no trouble consuming it but won't have any effects. In rare cases, some customers may see their pet's condition worsen, which may also mean it's not working and the illness or allergy is just progressing. Two things that are important to keep in mind when shopping for allergy solutions for either you or your pet are effectiveness as well as the cost and amount. Effectiveness is going to be the most important factor in finding an allergy solution. As expected, that refers to how well it works but also how much the negative side effects might effect you if there are any. It's important to find a good balance between the good and bad. What that means is it's highly effective, but also doesn't make you or your pet too drowsy or create lethargy, headaches or other more serious problems. In order to help to decide whether or not it will be effective for you, it's a good idea to take a look at both good and bad reviews to get a good idea of what to expect. When you find something that is effective, you're going to want it to be at a good price. This can depend on how often you'll need to take the medicine or give it to your pet. If it won't be needed as often, then it might not be such a big deal to spend a little more on a solution. On the other hand, if you're going to need to take or give it daily, then you're likely going to want the most you can get for the lowest possible price. It's definitely going to be worth your while to shop around and compare the medicines available to get the greatest value. There are a number of things that can help decrease your allergy symptoms. These include cleaning up pet hair, bathing your cat regularly and vacuuming and steaming your carpet often. It may also be wise to keep your cat out of the bedroom so that you can sleep without allergy symptoms effecting you. If you can choose not to have pets, then that will be the only way to avoid them completely. Just like dealing with your own allergies, this initially means finding out what it is your cat is allergic to. This could be anything from their food to flea bites to soaps and materials they come into contact with. If you can get rid of the substance causing their allergies then you may not have any need for an allergy reducing medicine at all. While not having a pet can be the only way to stop experiencing allergies completely, there are plenty of ways you can keep your beloved pet without being a sniffling mess constantly. Your first step should be talking to your doctor about allergy medications that you can take to help reduce these issues. Otherwise, some of the options in this list might be able to help with your symptoms. By keeping a close eye on your cat, you can find out if they are having problems with allergy symptoms. If you notice them itching often, sneezing, vomiting or simply having watery eyes often then that might be a sign of allergies. Continue watching to see if you can find out what is causing the symptoms. If you're able to find and easily remove the culprit, do so. Otherwise, you may want to take your cat to the vet to have them checked out. With a few simple tests, the vet should be able to determine what is causing the problem and how to resolve it. As mentioned earlier, this can really depend on what is causing the symptoms. 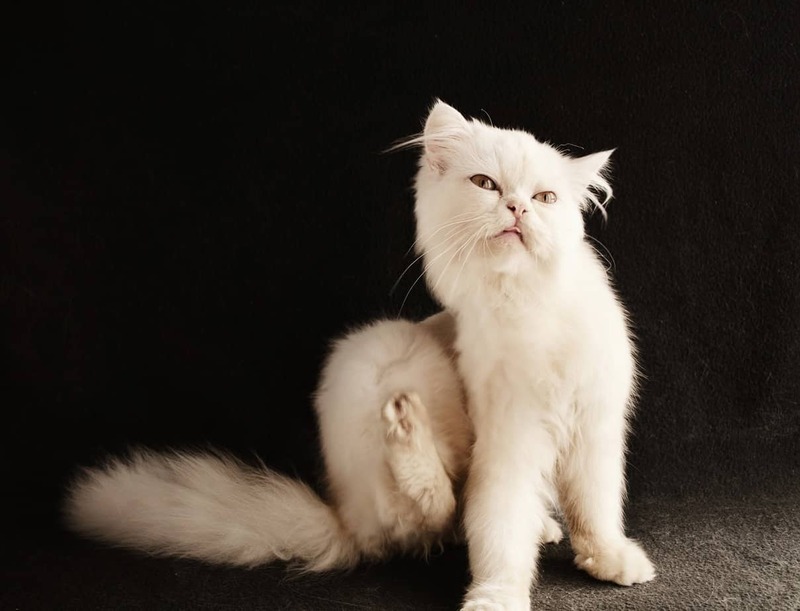 For example, if your cat is allergic to flea bites then it will be important to get rid of and prevent fleas in your home. Use a good flea medicine to kill any that get onto your cat, wash your cat's bedding regularly and vacuum often, making sure to get rid of everything the vacuum picks up. If it's due to your pet's food then the vet will be able to recommend a new food to get your cat on that will be able to help. This can take some trial and error, but will be beneficial overall. If you or your cat are experiencing allergies, don't fear! There are plenty of ways to help the symptoms that won't require you to have to get rid of your pet or have to watch them be uncomfortable for too long. Many of the items in this list can help both pets and people to handle allergies and live life in a more clear, comfortable way. Just keep in mind that if you aren't sure about a product, make sure to get your cat checked with your vet or doctor in order to make sure it will be safe to try out.